What does retirement look like for Barbara Branstetter Kew, who spent three decades working at Fortune 500 companies, including seven years as VP and CIO of the medical technology company Hill-Rom? Kew, who was inducted into the ICS Hall of Fame in 2015, left Hill-Rom in 2016 and now enjoys spending time with family, traveling, going to the beach, golfing — and consulting. Yes, her “retirement” activities include advising startup companies on how to reach the next level of maturity. Kew is especially interested in helping creative and flexible young companies interact with large corporations with deeper funding pockets. “Healthcare also remains an important focus for me — both because of my 20 years in the industry as well as the significance it plays in all of our lives,” she says. With this experience in industry, backed by an MBA from Pepperdine University and a B.S. in information and computer science from UCI, Kew offers expertise in navigating through a healthcare landscape that she says is constantly shifting with changes in technology. What role does computer science play in healthcare, and what challenges does it present? Technology has made a difference across the entire spectrum of care. Doctors can have expertise linked into surgery rooms, and arthroscopic and other surgical advancements, as exemplified by the DaVinci robot, are reducing the number of significant procedures with long recovery times. Data analytics continues to advance in areas such as personalized pharmaceuticals and device monitoring, and nurses are spending less time monitoring vital measurements thanks to smart beds and other devices. In addition, developments in remote access have made telemedicine more widely available. The industry has also made significant strides in electronic medical records and data availability, but improvements are still needed across organizations and geographies. We must build personal data history and develop a more cohesive structure for the medical delivery system so your information is available at the right time, at the right place, while still adhering to privacy guidelines. And we must find ways to ensure that the reach of this new technology extends to less affluent neighborhoods and remote geographies to improve healthcare globally. How has your ICS education helped you manage the challenges and shifting landscape? The ICS program gave me a strong foundation by covering the fundamentals of computing, which has proved vital to my credibility in the field. When I was CIO, brilliant technologists on my team would compliment me by saying they could tell I really “got it” as they proposed new ideas. You can’t keep up with all the technologies coming out, but the core understanding that I gained from UCI and built on throughout my career has allowed me to quickly grasp the concepts of the latest “new thing.” As CIO, you have to consider the entire realm of technology when exploring possible solutions to business problems, which calls for a strong, broad foundation. What led you to pursue an ICS degree at UCI? I was originally a math major at UCI. By my sophomore year, I was looking for a more “practical” avenue to utilize my math skills. As I pursued classes in other disciplines, I took an “Intro to Computer Science” course, part of a new degree program in the ’70s. Peter Freeman taught the course, and I was immediately intrigued. His practical explanations sold me on this new thing called “computer science,” and I changed my major at the start of my junior year. Immersing myself in the program, I also took a class with Rob Kling, who was introducing artificial intelligence, discussing the related concepts well ahead of their time. Computer science was so foreign to the general population at that time that my friends thought I would end up at NASA. Barbara Kew broke stereotypes as a UCI cheerleader and one of only two female computer science students in her 1975 class. Did you face obstacles as a woman in computing during the ’70s or throughout your career? 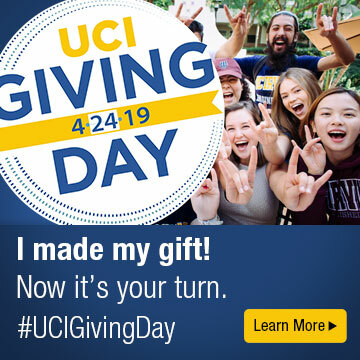 As a female ICS student and UCI cheerleader, I was very different from my student peers, so demonstrating my ability was paramount from the beginning. When I was going through the computer science program, I was one of two women in my class, and there were no role models. The career challenge required extra effort to establish strong credibility with the business and with management, and I let my delivery speak for itself. As I advanced into leadership roles, I’d like to think that I served as a role model to women entering technology fields and to those hoping to advance their careers. My teams were always diverse by design — a topic I bring up regularly with smaller companies when I see a lack of diversity. The balanced perspective provides benefits to product development, overall leadership and the bottom line. Although the numbers aren’t yet where they should be in terms of women in tech leadership roles, it has improved. There are now mentors, forums and organizations that can help women develop computing and management skills and that can act as a sounding board during career challenges. As technology professionals, learning the business and providing solutions to business problems —including facilitating disruptive technology — is vital to anyone’s success, regardless of gender. Speaking of success, what’s your advice for addressing setbacks? Never assume things will go as planned, and embrace the lessons learned after dealing with the unexpected. For example, with startup investments, rigorous due diligence is essential, but you also need flexibility in your business plan to adapt to market drivers, and you need an exit strategy for when things don’t pan out. When I didn’t get an expected CIO promotion in a manufacturing company, my next steps led me to an IT job in a healthcare company, which in turn led to greater career opportunities. Failures are part of lifelong learning. In 2008, you received the Women & Hi Tech Leading Light Risk-Taker Award. Why take risks? Raise your hand and take on the stretch assignments! It broadens your experience, challenges you and shows your leadership you are able to expand beyond current roles. I received the Risk-Taker Award after stepping away from a corporate CTO role to focus on startup investments and individual consulting — a role very different from what I had been doing throughout my career up until that point. The change provided me with a fresh perspective and self-managed pace, which helped me focus on a range of new technology problems and solutions. This broader perspective and knowledge served me well when I later returned to the corporate world. Any other advice for ICS students? Build a fundamental understanding across the spectrum of computing. UCI offers a broad set of programs, and at least “dabbling” across the spectrum will give you a multidimensional perspective. Communication skills are also critical, because if you can’t speak, write and convey ideas in a clearly understandable way, the business and customers won’t value your solutions. Finally, seek out a variety of assignments early in your career to explore your boundaries and broaden your skill set — as opposed to just trying to move “up the ladder.” This will serve you well throughout your journey. Technology careers are fun — there is always change and new things to learn. It’s never boring!